From the magical land in the clouds called Care-a-lot, comes everyone's furry friends, The Care Bears. Along with their relatives, The Care Bear Cousins, they travel all over the world to help children through the power of caring. Many times, the Care Bears must use their powers to stop the evil plans of Professor Coldheart and is assistant Frostbite. 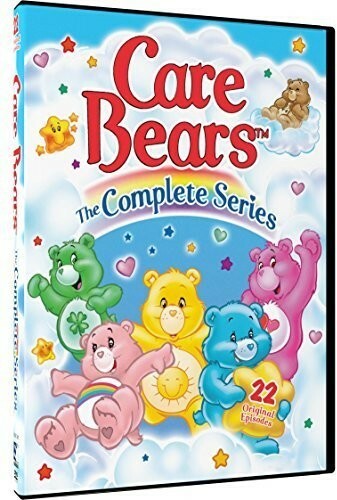 You'll enjoy all 22 original stories of The Care Bears in this 2-disc DVD set!